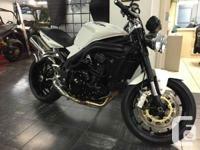 Anniversary Edition with Arrow Exhaust. 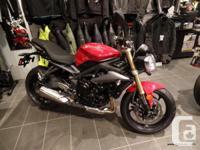 SPEED TRIPLE The icon. Redefined. 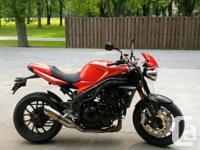 Speed Triple. Real world performance for riders who know. The definitive streetfighter. The benchmark. The best. In a word. Legend. 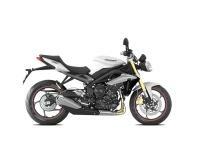 New for 2011, Triumph has taken all thats good about the Speed Triple and created an all new model. A new chapter in the legacy. All-new chassis is the sharpest tool in the box. And that 1,050 cc triple. Oh yes, the engine. And the look? Short. Stubby. Aggressive. Twin headlamps. Single sided swingarm. Alloy bars. 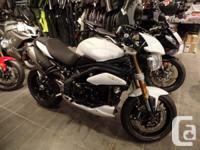 Pure Speed Triple. Improved. Price dose not include Hst or License Fee.